The Ledger Nano X is the latest hardware wallet introduced by Ledger. In this post I will share my personal experience with the device and my thoughts about whether it’s indeed a better hardware wallet than its predecessor (the Nano S). The Ledger Nano X is one step ahead of other hardware wallets on the market today. The increased capacity for coins, combined with its bluetooth connectivity make it a powerhouse for managing crypto assets. Having said that, the user experience is far from perfect. A Hardware wallet is a small device that stores the private key for your cryptocurrency. The interesting thing about it is that it never exposes your private key outside of the device, meaning it is always kept offline (also known as cold storage). So even when you want to send money from it, it will sign the transaction on the device itself and not on any computer its connected to. For this reason, it is possible to connect your hardware wallet to any compromised computer without the risk of exposing your private key. 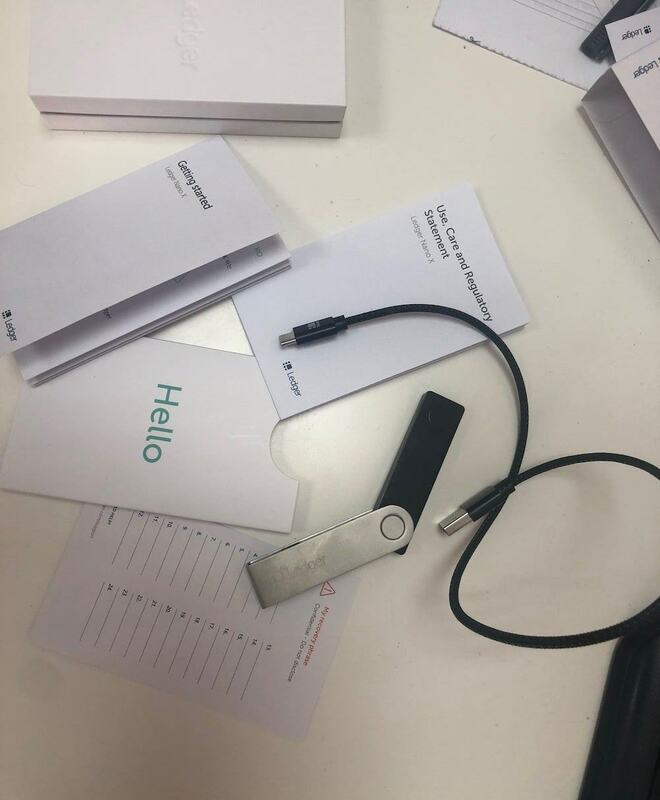 This made hardware wallets a very popular choice for storing cryptocurrencies as opposed to software wallets that are constantly connected to the internet (also known as hot wallets). Ledger is one of the two biggest hardware wallet companies around today (the other one being Satoshi Labs who manufactures TREZOR). The company was founded in 2014 and is a leader in security and infrastructure solutions for cryptocurrencies and blockchain applications. Ledger has a team of over 130 professionals. They specialize in developing a variety of products and services to safeguard cryptocurrency assets, the latest one being the Ledger Nano X. The Nano X’s main difference from previous models is its bluetooth connectivity, which allows it to be controlled via a mobile phone and not just from a desktop computer. I’m a really big fan of the Nano S, that’s why I was anxiously awaiting the Nano X’s arrival. 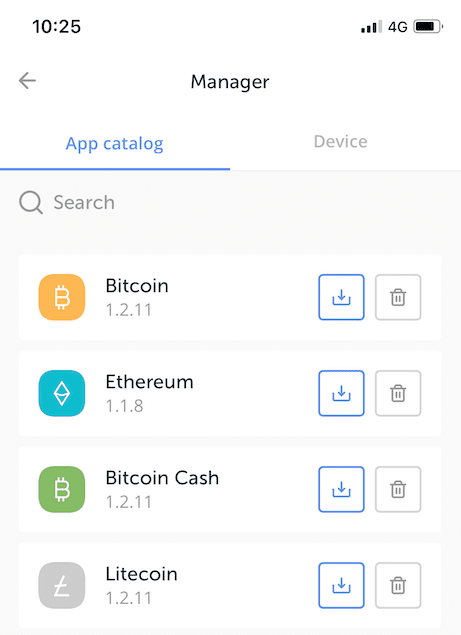 The mobile support was probably the final feature missing in order to make it a truly perfect hardware wallet. The Nano X comes beautifully packaged with the device itself, a USB-C cable, a set of instructions and recovery seed cards. The previous bulgy buttons that were on top of the device are now seamlessly integrated on it in a way that’s even a bit hard to notice. All in all a beautiful design. There are various stages you’ll need to go through in order to set up your Nano X. Setting a PIN code – When you first power up the device it will ask you to choose a 4-8 digit PIN code. You can toggle between numbers using the buttons, while “enter” is achieved by pressing both buttons simultaneously. Writing down your seed phrase – The seed phrase is like the password to your wallet. It’s something that should be kept safe and hidden at all times. When initializing the device you will receive 24 words which you should write down on a piece of paper and store away. In case the device gets lost, broken or stolen you can recover your funds using your seed phrase. Because the seed phrase is so important you will be asked to confirm it entirely after writing it down. Unlike the TREZOR setup process, with Ledger you can’t skip this part. While I understand why Ledger insist on this, I find it a bit cumbersome and would prefer to have the option to skip this part and get back to it later. Pairing the Nano X with your mobile – Now comes the interesting part, connecting the Nano X with your mobile device. Previous Ledger versions were only controlled via the desktop software known as “Ledger Live”. The Nano X can also be controlled via a mobile app. Pairing the device should been fairly simple and straightforward, but unfortunately that’s not what I experienced. I found it a bit buggy and it took me two tries to get it to work. The process becomes even more cumbersome when you start controlling the device from the app. Almost every time you execute an action on the app you need to wait for the bluetooth connection and approve the action on the device itself. More often than not, the device doesn’t show the “approve” option and you just need to wait a few seconds for the action to be auto approved. Installing apps – Once the device is paired and ready you can install different apps on it depending on the coins you want to use. Adding accounts – This was, by far, the most confusing step for me. After installing the Bitcoin app I was sure I was ready to go. Apparently you have to also add a Bitcoin account on the device and that is not conveyed through the user interface. Of course you can find a complete onboarding process on Ledger’s site, but as a veteran Bitcoiner I expected it to be more intuitive. After 5 minutes of going back and forth I finally discovered this missing step and from there it was relatively easy to get the handle on how to control the device. After setting up the Nano X and using it for a while I have to say I have mixed feelings about the device. On the one hand this is definitely an upgrade from previous models and other hardware wallets. On the other, the interface isn’t as intuitive as I’d like it to be and the bluetooth connection seems to be getting in the way of every action. Perhaps these are a result of technical limitations that I’m not aware of, but in the end, if this product is aimed at the general audience it requires a bit more polishing. Another small thing that I think is worth mentioning is the fact that there’s no battery indicator on the device. This made it shut down on me without any notice. The Nano X costs $119 (VAT excluded) which is twice the cost of the Nano S ($59 VAT excluded). Basically you’re paying for Bluetooth support and extended capacity of coins (the Nano S can hold up to 100 assets simultaneously). In my opinion, while this is a very big price leap it’s still worth the added functionality. The Nano S’s limited capacity for coins can be a real hassle at times and the fact you can control your hardware wallet from your mobile is a huge plus. When comparing the Nano X to the competition, I believe it comes out with the upper hand. In the end the Nano X supports more currencies and has bluetooth connectivity. Compared to the TREZOR model T ($169 Vat excluded) it only lacks a touchscreen, which in my opinion isn’t that much of an advantage anyhow. The smaller models like the TREZOR One and Nano S can’t be compared with the features I’ve stated above. 7. Conclusion – is the Ledger Nano X worth it? 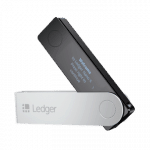 There’s no doubt that Ledger made a very big effort to take their latest hardware wallet model to the next level. The combination of the sleek device with the feature rich “Ledger Live” software creates a powerhouse for managing crypto assets. Having said that, not everything is completely polished on the Nano X. The UX for setting up the device requires a bit more thinking, in my opinion, and the bluetooth connectivity experience is far from smooth. All in all, I’d definitely use this device despite its downsides. Although not perfect, it still wins the battle against all other competition. 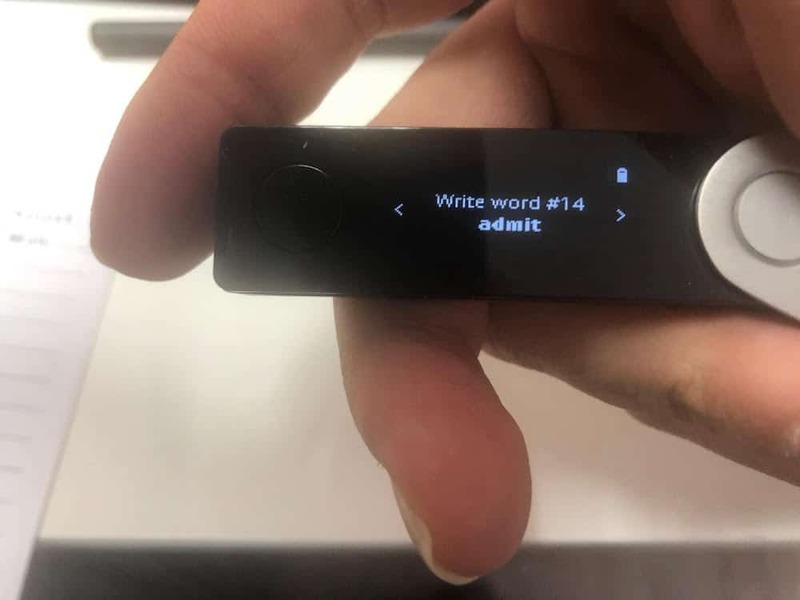 Have you tried the Ledger Nano X? Let me know what you think in the comment section below.